Tchaikovsky with a jazz twist! UK pianist and composer Terry Disley marks the re-release of his Jazzcracker CD this season by presenting his exciting all-star group in a series of December concerts. Performance Showcase 2009 is thrilled to host the first concert of the season, featuring Disley at the Steinway piano, synthesizer, and the unique St. Aidan’s pipe organ. 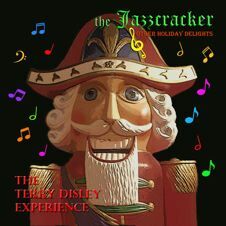 The Jazzcracker showcases Disley's original jazz arrangements of Tchaikovsky’s ever-popular Nutcracker Suite. In addition to The Jazzcracker, the concert will feature Disley performing original pieces in solo and group settings, including a debut performance of selections from his classical CD Nocturnes. Join us to celebrate the season with this unique Jazz Suite for the Holidays! Cow Hollow Catering and Concessions, from the Palace of Fine Arts Theatre, will offer beverages and light snacks for purchase one hour before the performance and during intermission. Disley has played with Acoustic Alchemy (two Grammy nominations), Sir Paul McCartney, George Harrison, Sir Mick Jagger, Bryan Ferry, Van Morrison, Madness, Terry Hall (Specials), Billy Bragg, Tom Jones, Eddie Henderson, Dee Dee Bridgewater, Candy Dulfer, Cecile Payne and Urbie Green, and for five years was Musical Director for Dave Stewart of the Eurythmics. Grooving and accessible music, the wired-up sound of Miles Davis and Weather Report, the Crusaders’ elegant funk and a touch of techno-pop. 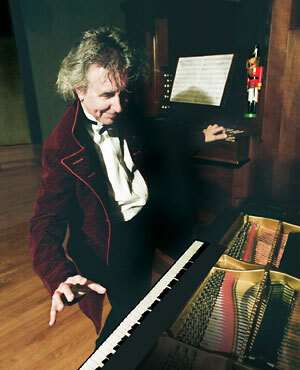 Terry Disley blew me away at Performance Showcase 2004 with his exuberance on the organ, and we became his fans! I have been a professional musician for 25 years, and in that time have worked with some of the best musicians in the world. Terry Disley is such a person. Terry performed with Dave Stewart opening for Bob Dylan – without him the event would not have received the acclaim it did. I know of no other keyboard player with his talents. Seating for this event is limited. Buy your tickets early! in an intimate and beautiful venue.